Tourists will be banned from visiting the Indonesian island as of January 2020. The Indonesian government has announced it will close the island of Komodo to tourists next year in a bid to prevent people from stealing its dragons. In a meeting with the Ministry of Environment and Forestry last week, East Nusa Tenggara provincial administration spokesman Marius Jelamud declared that “Komodo island will be shut down temporarily in January 2020,” Tempo reports, with the closure expected to stay in place for at least 12 months. 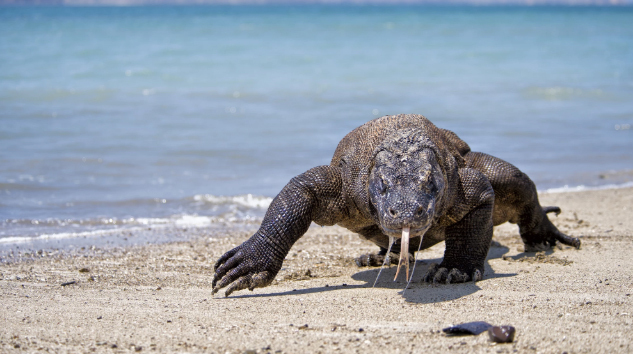 The decision comes just days after East Java Police busted a smuggling ring that took 41 komodo dragons and tried to sell them on the international black market for 500 million rupiah (about AU$50,000) a piece. Senior Commander Akhmad Yusep Gunawan, special crimes unit head of the East Java Police, said five baby komodos had also been rescued from the group of alleged animal traffickers. “The criminals intended to ship the animals to three countries in Southeast Asia through Singapore,” Yusep told reporters last week, according to The Jakarta Post. Considered to be the world’s largest lizard, komodo dragons are one of the most endangered species on the planet. The UNESCO World Heritage Komodo National Park, in East Nusa Tenggara, is the only place where the reptiles can be seen in their natural habitat—and while the remainder of the park will stay open to visitors throughout 2020, authorities are closing the gates on Komodo in the hope of launching a conservation program and bolstering the local dragon population.